It is called the Császár polyhedron. It’s famous because it shares an interesting property with the tetrahedron. Neither of these have any diagonals! 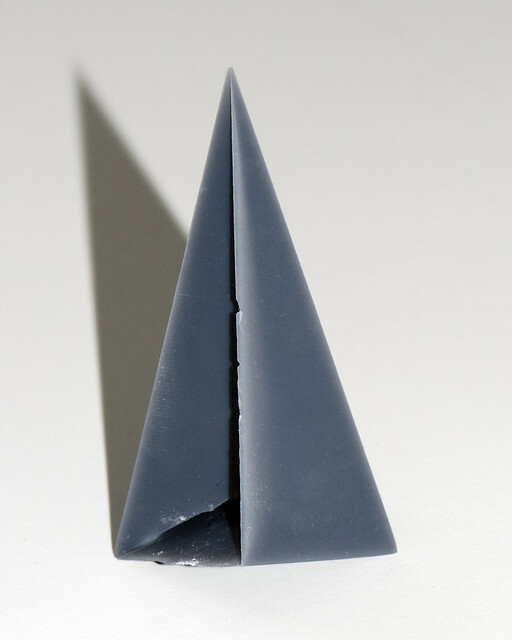 If you imagine a tetrahedron (or hold a model), you can see that if you choose any two vertices, there is an edge connecting them. This means that you can’t draw a line between them that goes through a face or the interior of the polygon. 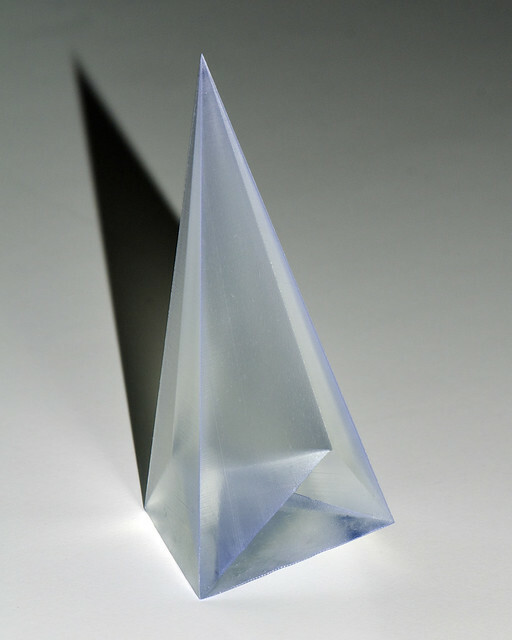 For a long time, the tetrahedron was considered unique in this, but in 1949 Ákos Császár this second one. It has 7 vertices, 21 edges, and 14 triangular faces. As you can see, it is not convex. In fact it has a hole through the middle. You can work that out from the Euler characteristic using those three numbers. If there are any others, they’re going to have multiple holes. It’s hard to imagine any of the higher order ones being realizable, but perhaps we’ll get a surprise some day. This is a challenging model to print, as you can see from this early attempt. Those edges are very sharp and delicate. If you’d like to give it a try yourself, you can get the model from my Pinshape account.